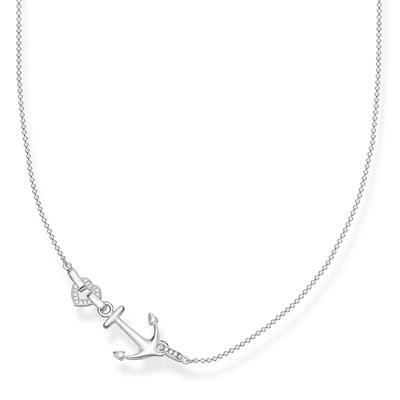 From Thomas Sabo, this Sterling Silver Anchor Necklace is a symbol of love and hope. It is embellished with Cubic Zirconia's to give it an extra sparkle. The Thomas Sabo Sterling Silver CZ Anchor Necklace is a delicate and feminine piece. It's the perfect gift for yourself or a loved one, and would add a dazzling touch to any outfit. The necklace is crafted from 925 Sterling Silver and is decorated by hand with sparkling stone embellishment. It features an anchor design with Cubic Zirconia stones.